Everyone approaches this differently. We hear people talking about turning your "side hustle" into your full time money making job. I feel eh about some of the conversation around this. I have been weirdly nervous to post this because I don’t feel like I am in any way an expert in this kind of transition, but if sharing can help anyone out, or inspire, I’m happy to do so (and Danielle of Rosewood Weddings gave me to boost to do so)! Here's why - I have my Masters in Special Education, and I LOVE teaching. When I was teaching I did not consider my photography business a "side thing." I considered it very full time, because it was - even though everyone considered it a side thing. So don't downplay all of the work you are doing - it is very possible to have 2 full time jobs, even if you are your own boss for one of them. I graduated with a BA in Human Services and International Affairs from Northeastern University in Boston MA. I LOVED my program and try to convince anyone to go through it. I worked heavily in the non profit world, with people in the community and just adore studying humanity! After graduating I was accepted to Teach for America, and started teaching at Success Academy in Harlem. Was this my dream job? I can't honestly say I know. But it did teach me how to be an excellent teacher, and broaden my understanding of people. I also met my best friend here, so all that time was worth it. I wanted more, I needed more creative expression and the opportunity to interact with more people. Spring of 2013 my high school sweetheart proposed to me. That summer I remember sitting eating burgers with my friends Beth + Bean, and chatting about becoming a photographer. I have an artistic background both from school, and my sweet papa is an artist. I wanted to document people, their lives, important pieces that they would give me a glance into. I decided to ask my wedding photographer and dear friend, Amy Rizzuto, if she would consider taking me on as an apprentice. Thank goodies she did, and was she ever patient, teaching me everything from A-Z. I photographed a ton of weddings with her the summer of 2014. She would stop in the middle of the busy day and tell me what and why she was doing it. I cannot ever thank her enough for sharing her knowledge and grace. It was in her office that we created my first website - talk about stress, putting yourself out there. After I got married I moved to Milwaukee, WI and kept on chugging along in life. It is HARD to make new friends when you are in a new city and not in college (at least for me). I started looking for teaching jobs, as well as photography opportunities. Changed most of my marketing over to the midwest and started responding to photographers looking for 2nd shooters. Having my website to do this was critical. I taught at my least favorite job I have ever have - Im talking my 5'2" self getting slammed into lockers by massive middle schoolers, and chairs getting launched at my head. I know what you're thinking, oh this is when she went solo in photography, and "Was she really a good teacher?" Not to toot my own horn, but I am a remarkable teacher, all of my mid and end of reviews say so, as well as my peers, so yes I am. Nope, I found another job the following year, one I LOVED and stayed at for 3 years. I did this because my business was not ready for me to go full on at that time, AND like I noted, I LOVE teaching. What an amazing way to connect with and better understand human kind. In 2017, I had been working on my business "full time" for about 3 years. I wasnt' necessarily craving giving up teaching, but I did give birth to little A, and life shifted. I went back to teaching after my maternity leave, and taught for a full year. At that point I had to decide where my energy would be focused. Working 2 full time jobs (both of which required more than 40 hours a week) or taking something out, because I could not do both and spend time with my family. Sadly, I decided to take a step back from teaching. Yes, sadly. Like I noted a few times, teaching is something that is deep in my soul. I have been lucky to be able to have a successful enough business that I can spend 3 workdays a week with A at home with me. He goes to daycare 3x/week so I can have at least 3 uninterrupted work days. I am also one lucky mama because he is still napping 3 hours a day - referred to as my power hour(s). I am making sure I am not spread to thin, even though being a mom is WAY beyond a full time job. I can give my clients and my son more attention and love. I also get to invite one (sometimes 2) new photographer(s) to apprentice with me every year, so I can pay it forward and continue teaching. Here we are today. Just loving life, and struggling through the struggles. WAIT - where are these dang steps?! 1. 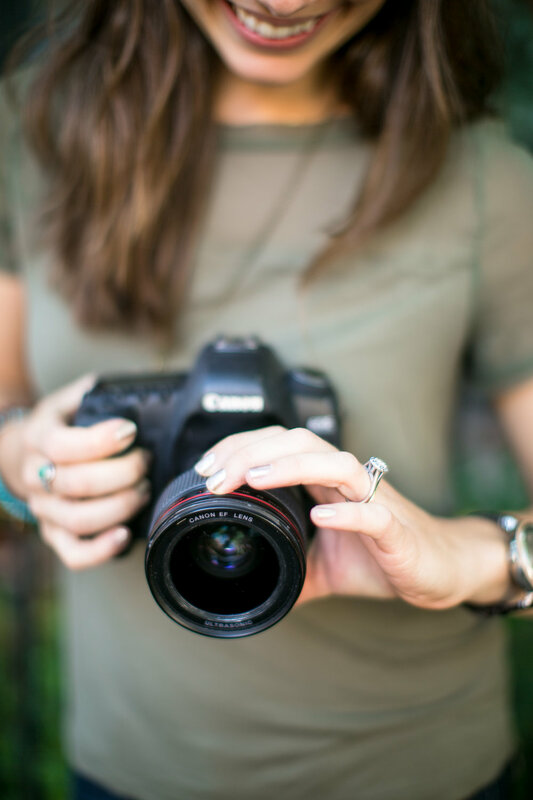 Apprentice - Find amazing photographer you admire, and ask them if you can work for free as their 3rd shooter (if you are looking into weddings), doesn't mean you need to photograph every wedding/session with them, but find what dates you can agree on. Be clear ahead of time what you are both hoping to get out of this relationship as their student, but them as your teacher. 4. Set goals! - Where do you need to be, to feel comfortable financially, to transition to just working for yourself? Is this a number of sessions/weddings, a dollar amount (yes), consistent seasons of booking? Know what this is and make sure it is sustainable. 5. Support - this does not need to be a spouse. It can be a community, a partner, best friend. Working solo can be very isolating, you need people! If you are married/committed have some very important discussions with your partner. 6. Get legal - when you are making the appropriate amount of money you need to make sure your paper work is all in order, every state has different laws. Lawyers aren't always as pricy as you may think, esp if it is just a one time visit. 7. Amazing accountant - out accountant is a life saver, I would be sinking without his help. 8. Routine - when you are working from home, or whenever/where ever you need to make sure you are using your time appropriately. Block out work times, or one day is editing, one day is web development. However works best for your brain, have a plan for your day/week. 9. Sustainability - know what you can handle. Can you do 40 weddings a season - I don't. I find I miss out on WAY too much family time, and am totally burnt out. I price my weddings so that I make what I need to while booking an amount I feel comfortable with. Some people are the opposite, and would rather price lower, but book a TON, know what works for you. Make products that you can put time into on the front end and sell over and again to have reoccurring revenue. 10. Love what you are doing. Do you have to quit that other job to be taken seriously? I don't think so. If working both makes you feel like you have balance and purpose, you are not any less legit, in my mind, if you still want to pick up some nursing/teaching/construction/waiting shifts etc. I'm personally itching to find someway to participate in the education field again to stay connected. I'm sure many of these steps can be taken in a different order. I highly recommend also checking out free education that is available via, mailing lists, blog posts, podcasts etc. As always, ask away - and go get em!